Cherrystone Family Camping Resort is a short bridge>tunnel>bridge>tunnel>bridge…. ride from Virginia Beach on the beautiful Eastern Shore of Virginia (and Maryland). Originally we chose the new Sunset Beach Resort for a weekend stay, but the reviews were not so great, so I postponed the reservation until October, hoping the kinks will have been worked out. So instead we booked Cherrystone Family Camping Resort, which we’ve heard about through friends. 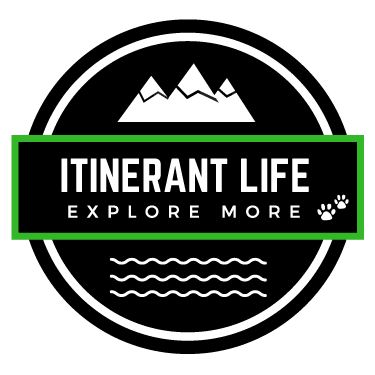 There is so much to cover that I’m going to break this into two posts: the first on the campground itself and the second on the activities around the area. From the Hampton Roads area of Virginia, you will need to take the Chesapeake Bay Bridge Tunnel. It is a 23 mile long modern engineering wonder! You will pass through two tunnels and over multiple bridges. There are a couple of places you can stop along the way and even a restaurant in case you’re hungry! (Note: the restaurant will be closing in 2017 due to construction. So make sure you stop in before it closes!) The views of the Chesapeake Bay is spectacular. We have read that a lot of RVers are a little nervous driving through the tunnels. The max height is13 feet 6 inches vertical. Each tunnel is a single lane. John was only slightly nervous ( I think I was more nervous than him!) To get a sense of what it is like driving the CBBT, check out our video. There is something for (almost) everyone. Cherrystone is set on 300 acres directly on the Chesapeake Bay. They have 700 sites catering to all styles of camping including trailer rentals, cabin rentals, tent camping and RV camping. There is a General Store, Fresh Market, multiple swimming pools, lots of kid activities and three fishing piers. There are paddle boat rentals as well – plenty to keep the family occupied. And did I say it is on the Chesapeake Bay? The sunsets are amazing! When we arrived, check-in was pretty fast. I had booked over the phone, and had picked out our site based on its ‘waterview’ and as it was next to the Memorial in the park (which meant that we had no neighbor). We were given a map, but minimal direction. The internal roadways are a little narrow, so you need to be careful when trying to maneuver a class A. There are kids on bikes everywhere and a lot of the campers had parked their cars on the narrow roads, so we had to ask a few folks to move for us. 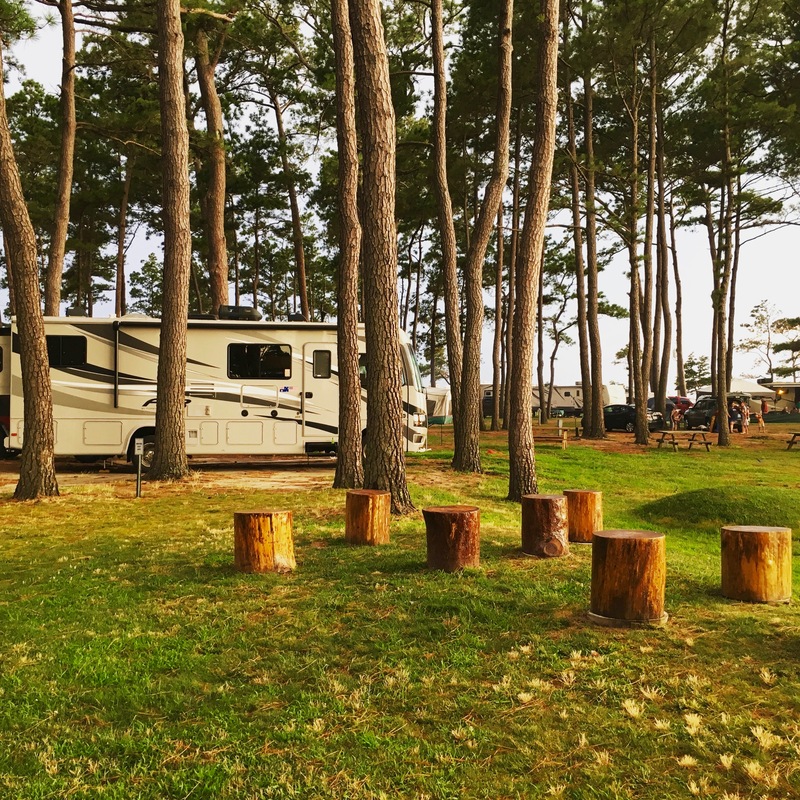 We had a great weekend, and enjoyed some of the facilities at Cherrystone, but the best parts of the weekend were spent away from the campground. Part 2 will go into more detail on the multitude of activities around the Eastern Shore. Stay tuned!